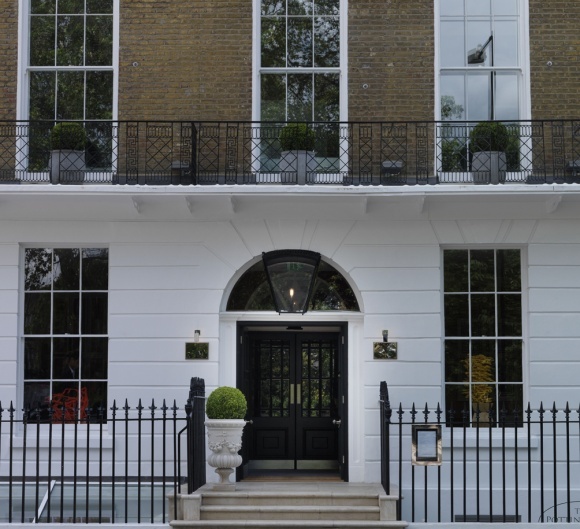 The Potting Shed is located in the Dorset Square Hotel, a Regency townhouse just a stone’s throw from the leafy garden square of the original Lord’s Cricket Ground. 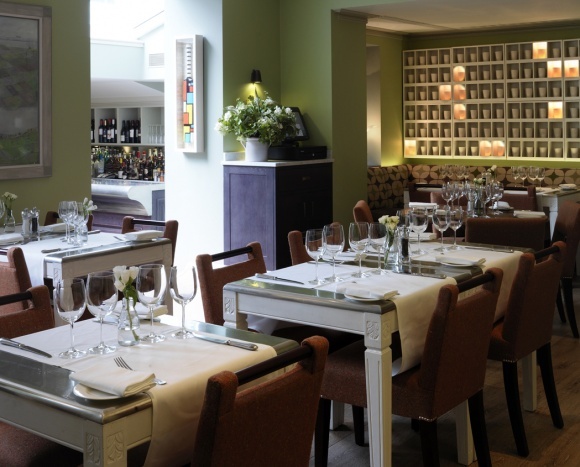 If first impressions are key, this lively bar and restaurant is the perfect place to impress your date. We begun the evening with cocktails, after being guided to a long pewter bar; our gorgeously presented mint julep and caipirinha had just enough kick to get the conversation flowing. Dangerously, I ordered a second before seating for dinner. The restaurant space is light and airy with sage green walls, crisp white details and grey oak floors. 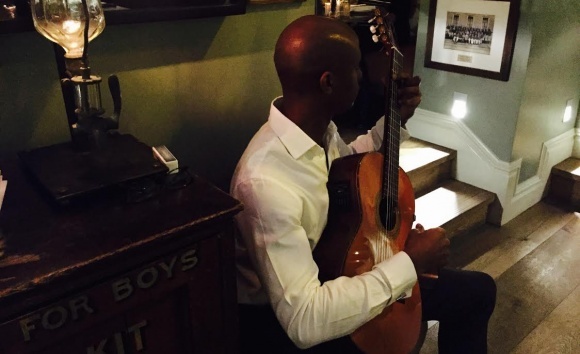 Opting for a booth for a more intimate dining experience, we were delighted to discover that live music was being performed that evening in the form of Cuban classical virtuoso Ahmed Dickinson Cardena. His intricate and lively repertoire created a sumptuous atmosphere in which to enjoy the conversation and food, without being distractingly loud. Our waiter introduced himself, and as the night went on, he proved himself to be in possession of that ideal combination of knowledge, friendliness and efficiency. As we navigated the best-of-British menu, he offered suggestions for every palate. Our starters were served promptly, with fresh smoked salmon and caperberries for myself and a velvety chicken liver parfait for my date, complemented by crunchy toasted bread and sweet caramelised onion chutney. For mains, I ordered the steak, medium rare with a smothering of Roquefort butter, and my date the roast lamb, served with a rich garden pea puree and braised young carrots. Accompanying our dinner were two generous glasses of red (Malbec for the lamb, Chianti for the steak), recommended by our waiter. With the music and wine flowing, we couldn’t resist satisfying our sweet tooth. Crème brûlée was the order of the day, and it did not disappoint. It was served in a teacup as a nod to the cricketing history of this location, with the rich custard oozing through the tortoiseshell disc on top. As the music faded, we topped off our night with a selection of British cheeses, and a potent Armagnac digestif to end the evening with a warm-and-fuzzy feeling. Somehow, it was three hours after sipping that first cocktail, and we had enjoyed every moment.